This officiant often performs Short Marriage Vows. “Short and sweet” is often a request that we hear. And we can provide the wedding ceremony for you or read one that you have. Sometimes brides and grooms have horrible stage fright or are shy. Or they are very no-fuss about their wedding and prefer a very short wedding reading. Sometimes an engaged couple feels so deeply for each other that they don’t feel the need to express it for a long time in front of other people. We understand. This wedding couple wanted the shortest wedding ceremony ever. Wedding officiants don’t always get the chance for this quick of a wedding vying for the Guiness World Book of Records. We often perform short wedding ceremonies. Most people opt for We can make it less than a minute- – it’s all up to you. There are a few requirements for the marriage ceremony, such as that you both have to agree to be married by the officiant, but that can be done very quickly or casually even. You aren’t required to exchange rings, or kiss, or say anything to each other. Just let us know what you are comfortable with and we will let you know if that isn’t required. Your wedding vow should be done your way. 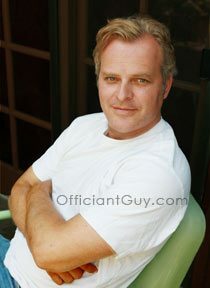 If you are looking for wedding vows short and you need a wedding officiant then you have found your Guy! Officiant Guy. 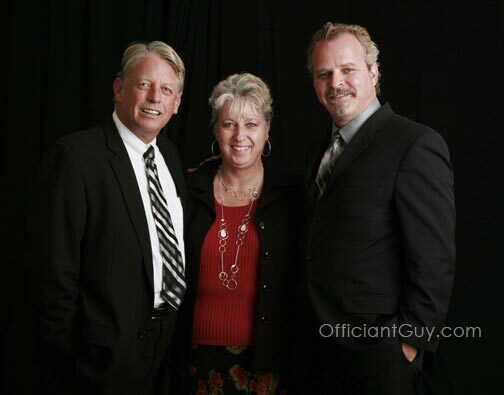 Officiant Guy is the leading marriage celebrant in Orange County and Los Angeles County. Chris Robinson is a Los Angeles wedding minister. He has been performing weddings and issuing CA marriage licenses for over several decades. 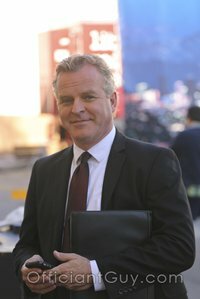 Officiant Guy could certainly be your wedding officiant for any kind of marriage ceremony from a religious wedding to a nonreligious wedding together with possible additions from Filipino coin ceremonies to vow renewal ceremonies. If you plan to get married somewhere in the periphery of Orange County or Los Angeles County give the best ceremony officiant in LA a telephone call at (310) 882-5039 or (562) 547-3255 or fill out the contact form.